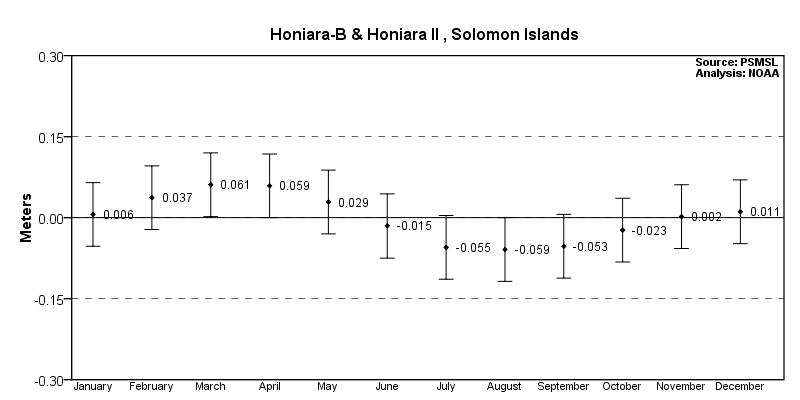 The plot shows the interannual variation of monthly mean sea level and the 5-month running average. 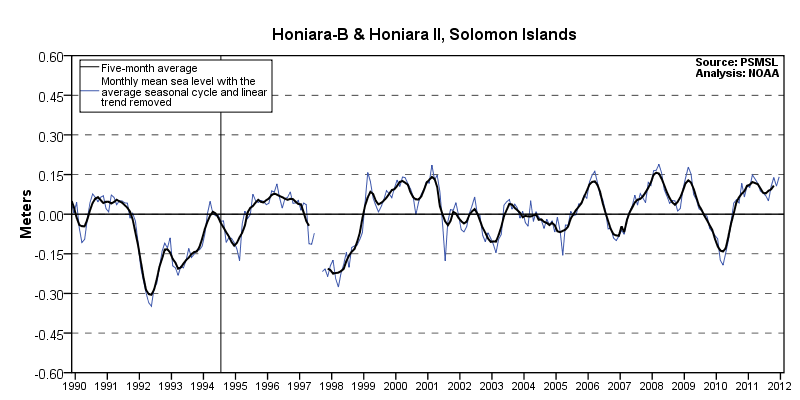 The average seasonal cycle and linear sea level trend have been removed. 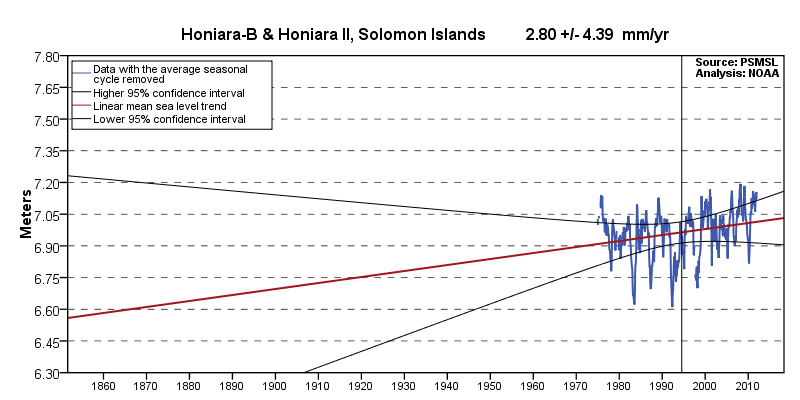 Interannual variation is caused by irregular fluctuations in coastal ocean temperatures, salinities, winds, atmospheric pressures, and ocean currents. The interannual variation for many Pacific stations is closely related to the El Niño Southern Oscillation (ENSO). 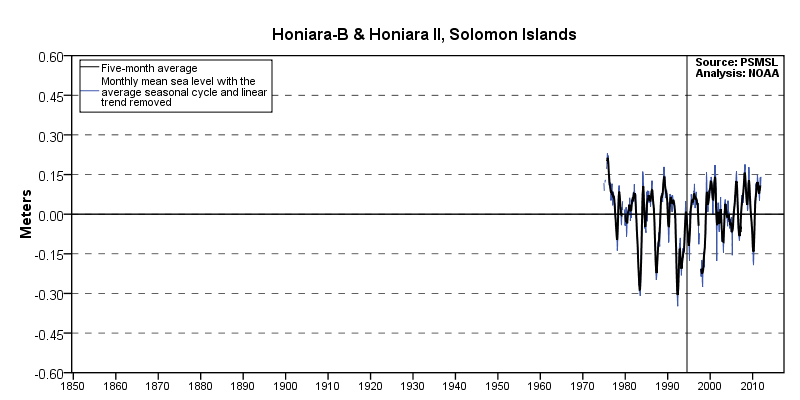 There are no additional products available for the non-CO-OPS global station: 734-004 Honiara-B & Honiara II , Solomon Islands.